Italian national junior record holder Federico Burdisso and his twin brother Alessandro Burdisso have both committed to the Northwestern Wildcats for next fall, according to Northwestern Swimming & Diving’s Instagram page. 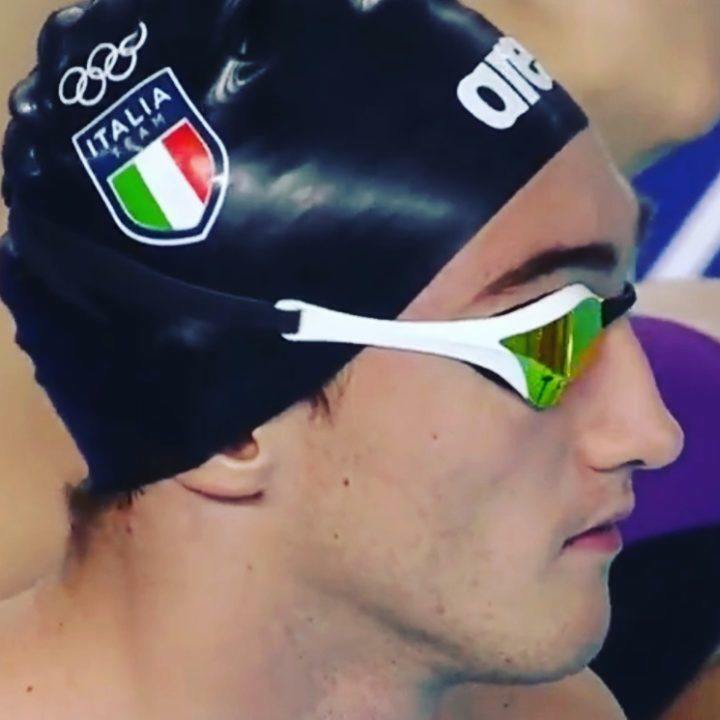 Burdisso is the Italian national junior record holder in the 200 fly. This summer, competing at the 2018 European Championships, Burdisso’s 1:55.97 was good for more than a PR and a record — he earned the bronze medal. Using the Swimulator time converter, his times convert to 45.13 and 1:41.48 in the butterfly races, the latter of which is several seconds faster than the school record and the former nearly a full second quicker. Burdisso is also a great sprint freestyler, converting to a 19.9/43.7/1:35.2, and his 200 IM converts to a 1:45.64. With those conversions, which will always have to be considered with a grain of salt, Burdisso would’ve been 2nd in the 100 fly and 3rd in the 200 fly at the 2018 Big Ten Championships. He also would’ve found his way to the 2018 NCAA 100 fly A final and 200 fly B final. Note that Northwestern had zero NCAA qualifiers last season, individual, relay or diving. Alessandro figures as a sprint backstroker and butterflier. His times convert to 22.84/50.33 in back and 22.52/49.19 in fly. Northwestern, who finished ninth out of ten teams at the 2018 Big Ten Championships and were unable to recruit a single swimmer to their class of 2020 a few years ago (they’ve since had one swimmer transfer in, current junior Colin Murphy), can chalk this up as a monumental win for the program. Federico Burdisso comes in with times that figure him to potentially be the fastest butterflier the program has ever seen, and his IM and sprint free talent should really help elevate their program. Jeremy Kipp and his coaching staff are already making significant impact as they look to turn around this program in their first season in Evanston. Somehow that 200 fly conversion, while not the same type of error, seems a little on the conservative side. There seem to be a lot more guys who can go 1:41.4 than 1:55.9. Looking at the world rankings last year, the 2 guys with yards times closest to Burdisso in the 200 fly were Jack Levant and Trenton Julian. Levant was 1:55.9 LCM, 1:44.5 SCY. Julian was 1:56.2 LCM and 1:40.63. 1:41.4 seems reasonable. Whaaaaaaat? That’s huge for them. Northwestern starting to make a comeback!